With 30 years of international experience, Alain Van Groenendael becomes Chairman and CEO of Arval Group, specialised in full service vehicle leasing. Alain Van Groenendael spent a large part of his career at Citibank in a wide variety of roles and locations, culminating as CEO of Consumer Bank, Western Europe and member of the Citigroup Management Committee. He has also held the posts of Chairman of the Loans & Financial Services Division at the PPR Group and Chairman & CEO of Finaref. In 2008, Alain Van Groenendael was appointed Board member and Deputy Chief Executive Officer of BNP Paribas Personal Finance. In 2015 he was appointed Chairman of the company and joined the Management Committees of both International Financial Services and Retail Banking at BNP Paribas Group. He played a leading role in the international development of the group by forming many strategic partnerships in the financial services, vehicle and distribution industries, as well as encouraging the digital transformation of the company. 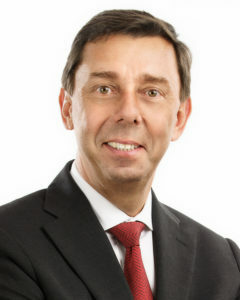 From November 2017 to June 2018, he was the Chairman of Opel Vauxhall Finance. Alongside, Alain Van Groenendael was also Vice-President of the ASF (French Association of Specialised Financial Companies) and President of Eurofinas (European Federation of Finance House Associations). Alain Van Groenendael is a graduate of ICHEC Brussels Management School and also a qualified Sales Engineer from Saint-Louis University in Brussels. His appointment as Chairman and CEO of Arval took effect on 1st January 2019. Established in 1997, Arval Luxembourg is one of the leaders in multi-brand leasing of corporate vehicles in the Grand Duchy of Luxembourg. Part of the BNP Paribas Group, Arval Luxembourg offers its customers – private and professional clients, SMEs, large international groups and public sector bodies – dedicated solutions designed to optimise staff mobility and to outsource the risks associated with the management of their vehicle fleet. Expert advice and a high-quality service, the foundations of the Arval brand promise, are delivered by our employees every day. Under the direction of Gerry Wagner, General Manager, Arval Luxembourg had more than 7,000 vehicles on lease at the end of 2018. Founded in 1989 and fully owned by BNP Paribas, Arval specialises in full service vehicle leasing. Arval offers its customers – large international corporates, SMEs and professionals – tailored solutions that optimise their employees’ mobility and outsource the risks associated with fleet management. Expert advice and service quality, which are the foundations of Arval’s customer promise, are delivered in 29 countries by over 6,500 employees. Arval’s total leased fleet adds up to 1,103,835 vehicles throughout the world (December 2017). Arval is a founding member of the Element-Arval Global Alliance, the longest standing strategic alliance in the fleet management industry and the worldwide leader with 3 million vehicles in 50 countries. Within BNP Paribas, Arval belongs to the Retail Banking core activity. BNP Paribas is a leading bank in Europe with an international reach. It has a presence in 73 countries, with more than 196,000 employees, including more than 149,000 in Europe. The Group has key positions in its three main activities: Domestic Markets and International Financial Services (whose retail-banking networks and financial services are covered by Retail Banking & Services) and Corporate & Institutional Banking, which serves two client franchises: corporate clients and institutional investors. The Group helps all its clients (individuals, community associations, entrepreneurs, SMEs, corporates and institutional clients) to realise their projects through solutions spanning financing, investment, savings and protection insurance. In Europe, the Group has four domestic markets (Belgium, France, Italy and Luxembourg) and BNP Paribas Personal Finance is the European leader in consumer lending.